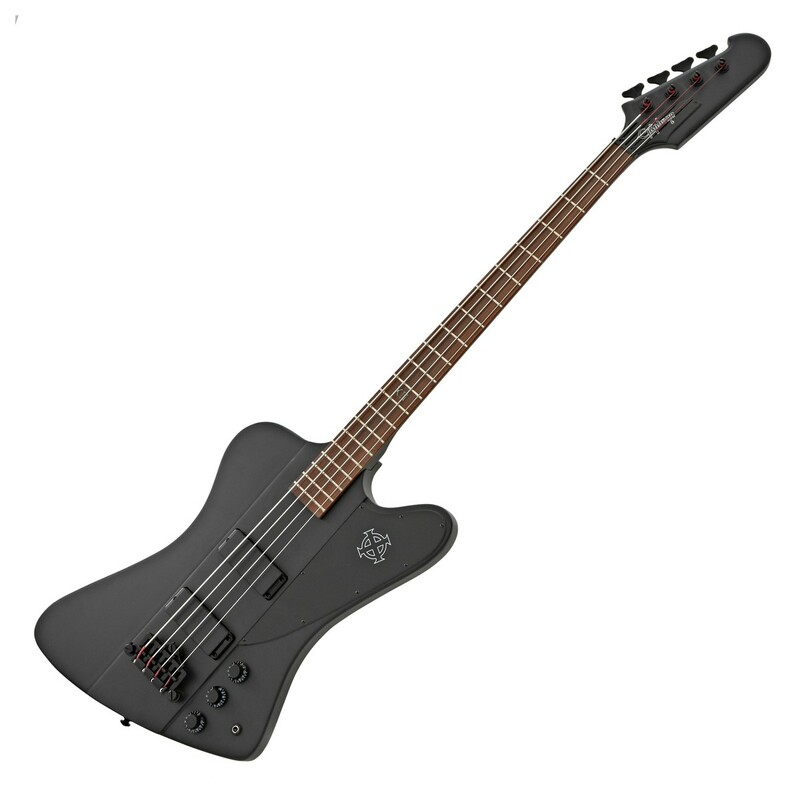 The Epiphone Goth Thunderbird IV is a special all-black edition of Epiphone's popular Thunderbird bass guitar, certain to satisfy metalheads everywhere. Featuring a Mahogany body and two powerful Epiphone TB-Plus bass humbuckers, this bass delivers a rich, growling tone perfect for all styles of rock and metal. 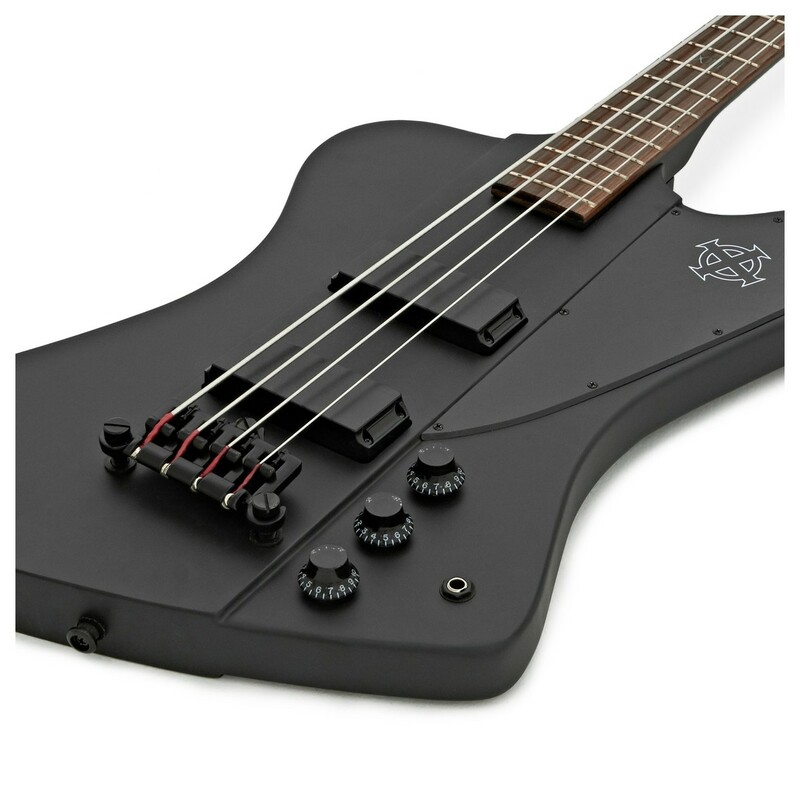 This special edition of the Thunderbird IV includes stylish features such as a flat black finish on the body, headstock and hardware, a Celtic cross on the pickguard and an "XII" inlay on the 12th fret, enhancing the already iconic Thunderbird design to create a visually striking bass certain to stand out from the crowd. The two ceramic TB-Plus™ pickups translate the solid Mahogany body's natural resonance into a thunderous bass tone with excellent definition. The pickups are equipped with a three-way selector switch, neck and bridge volume controls and a master tone control, allowing you to shape your sound to suit your needs. The instrument also features a three point fully adjustable bridge. 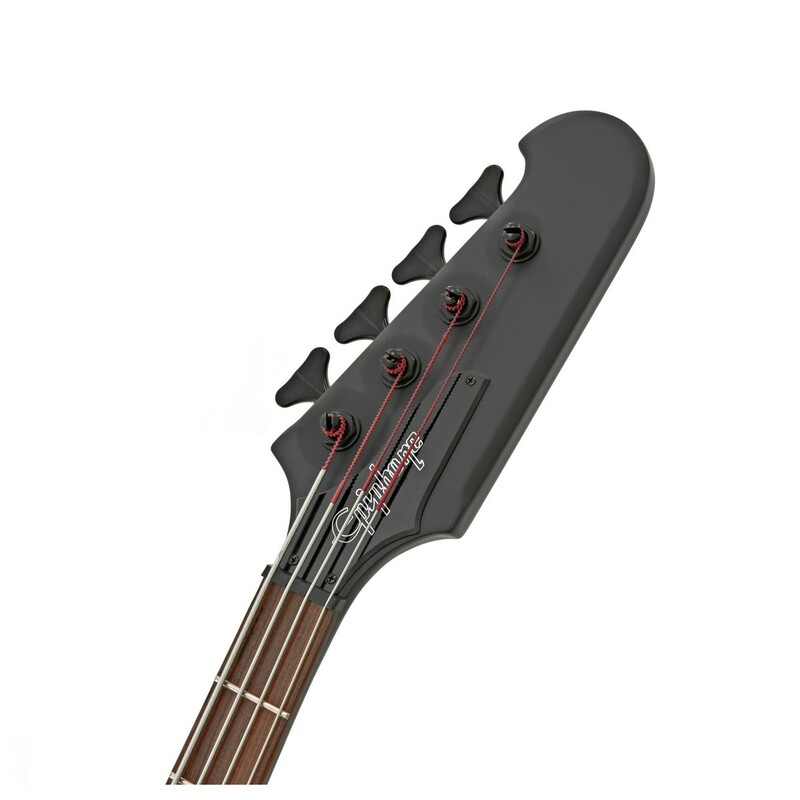 This allows you to adjust the string height in all directions (front, back and side-to-side), providing supreme control over the bass's action and intonation, and allowing you to work with a variety of string types and gauges.